Mallika Begum was 14 when the riots broke out and her family and other Muslims sought sanctuary in a mosque in her village of Chanderi. On being promised protection by the Hindu village leaders, the Muslim families emerged from the mosque only to be surrounded by a Hindu mob, which severed her father’s head and pierced her mother with a spear. When the mob came after her, Ms. Begum jumped into a small pond in the village where the attackers had thrown the bodies of their victims. 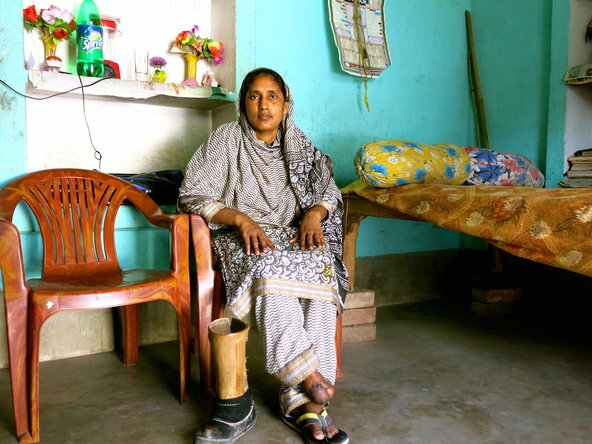 She lay in the pond, her right leg having been cut off by a machete, watching as 65 Muslim villagers were killed with sickles, spears and machetes, their homes burned to the ground, their few possessions ransacked. She was rescued by the army the next morning. She was her village’s only survivor. Later, she ignored threats and enticements to keep quiet and testified in court against 16 attackers, who were convicted. The riots proved to be a turning for politics in Bihar, which was governed by the Indian National Congress party at the time. Lalu Prasad Yadav and his Rashtriya Janata Dal party won the 1990 state elections on a secular platform, securing the votes of Muslims and Yadavs, a caste community. However, in his years as chief minister, Mr. Yadav failed to prosecute the attackers and compensate riot victims. In 2004, Nitish Kumar of the Janata Dal (United) party promised justice for the Bhagalpur riot victims as part of his campaign, and the next year, he ended the 15-year rule of the Rashtriya Janata Dal. 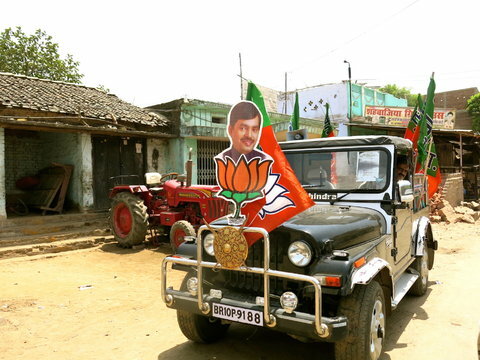 For the past two elections for the lower house of Parliament, voters in Bhagalpur have chosen Shahnawaz Hussain of the Bharatiya Janata Party, which was in an alliance with the Janata Dal (United) at the time. Muslims, who make up 20 percent of the district’s population of three million, have supported Mr. Hussain because of his party’s ties with the Janata Dal (United) and Mr. Kumar, who was seen as friendly to Muslim voters. But this year, Mr. Hussain faces a tough re-election battle because his party’s alliance with the Janata Dal (United) ended last year. For Muslims in Bhagalpur, the reputation of the B.J.P’s candidate for prime minister, Narendra Modi, as a Hindu nationalist, and his handling of the 2002 religious riots in his home state of Gujarat, have given them pause. “A person who has watched the effects of communal tension, whether in Gujarat or in Bhagalpur, would not want such a person to become prime minister who is implicated in any riots or would increase division between communities,” said Ms. Begum, who now works with the Center for Equity Studies to secure compensation and justice for the victims of the riots. Two political camps have touted their secular credentials as they seek the Muslim vote: the Janata Dal (United) and a coalition of the Rashtriya Janata Dal, the Indian National Congress and the Nationalist Congress Party. However, Muslim leaders have urged their community to form a united front against the B.J.P. Akhtarul Iman, the Janata Dal (United) candidate from Kishanganj, a Muslim-dominated constituency in Bihar, withdrew his candidacy to help the Congress candidate Maulana Asrarul Haque Mohammad consolidate the Muslim vote, calling it a “sacrifice” to a larger cause. As chief minister of Bihar, Mr. Kumar, the leader of the Janata Dal (United), has made clear overtures to Muslims during his two consecutive terms since 2005. After taking office, he formed a commission to reopen the investigations into riot-related cases that were closed by the state police for lack of evidence. Since 2006, 39 cases have been reopened and continue to be battled in court. Last year, Mr. Kumar doubled the monthly pension paid to the 384 families affected by the Bhagalpur riots, to 5,000 rupees, or $82, from the $41 they had been receiving since 2007. On April 5 of this year, Mr. Kumar criticized the Congress-led government in New Delhi for failing to prosecute those responsible for the Bhagalpur riots. The biggest move by Mr. Kumar that signaled his secular credentials was his decision to end a 17-year alliance with the B.J.P. in June 2013. But that might not be enough to draw Muslim voters in this year’s elections. Choosing the right lawmaker was not about religion or caste, Ms. Begum said. “It is not important that the candidate is Muslim or Hindu; the person should be a good person,” she said. Published on April 24, 2014 in The New York Times India Ink.